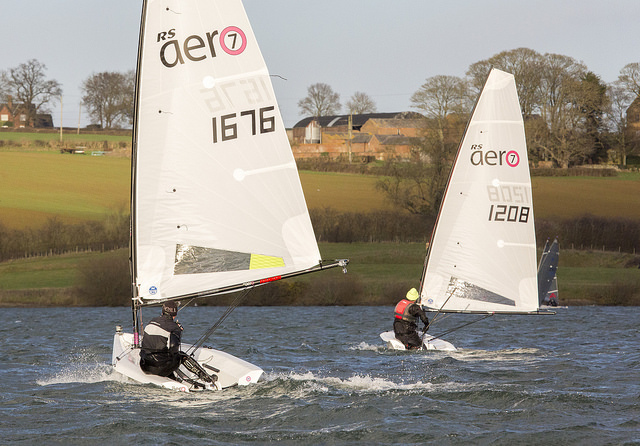 From a pre entry of 15, 11 hardy RS Aeros braved the brisk breeze and icy snow melt Northants waters for the 2016 Steve Nicholson Trophy and Round 6 of the RS Aero UK Winter Series in aid of Asthma UK. On arrival with blue skies and a gentle breeze it was easily to be deceived. However our class meteorologist Richard Watsham was on hand with his magic seaweed explaining how the transient ridge would soon be displaced by a crazed front of compacted isobars, or something like that. Lo and behold, as promised with ten minutes to the start the seaweed’s prophecy came true with a sudden increase to about 20kn. The fleet was pleased to be all 7 and 5 rigs with the one exception of local hero Jack Fraser in his 9 rig. With a westerly gusting at an angle off the shore a trapezium was set but due to the shape of the lake the course was biased towards beating and running without a great deal in the way of planing reaching, where the Aero has proven to excel. 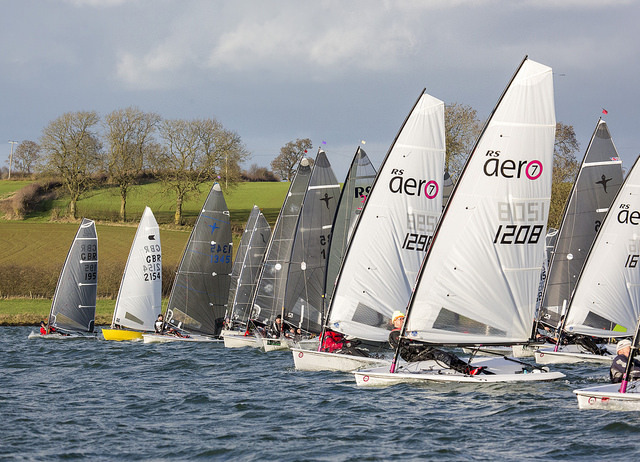 Nonetheless three RS Aeros were delighted to make it into the back of the top ten from the 50 starters and the enjoyment and tightness of racing was fantastic throughout the fleet. There was even a photo finish with Chunky and Peter tied in the 2nd race! RS Aero owner Finlay Barnham and his dad Jasper also took the overall double handed win in their 2000, well done Finlay! We will be watching out for him trying to hoist a kite on this Aero this season. 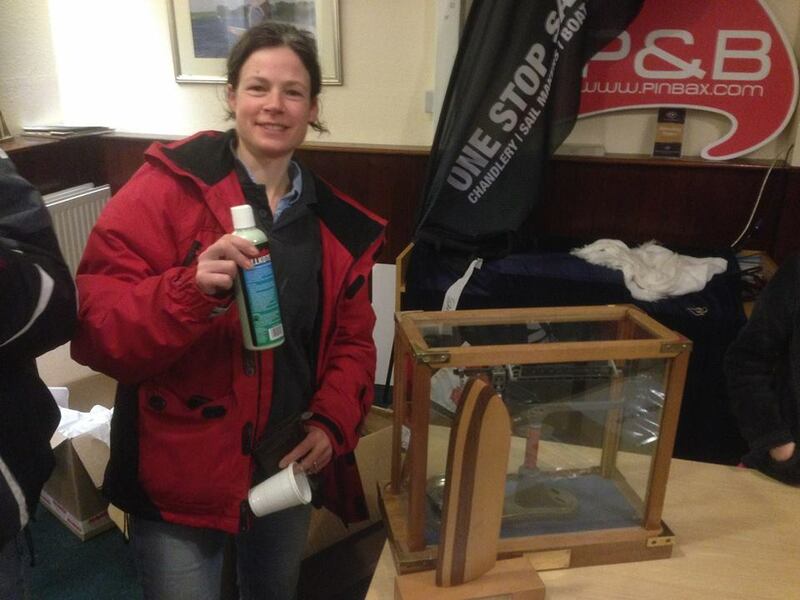 Emily Davis was awarded a very hard earned and well-deserved ‘Perseverance Prize’ for finishing both races in the blustery conditions. Well done to Jack too on getting round in good shape in his 9. "The wind picked even more after lunch but I felt I was more settled; despite having a few more capsizes I righted them quickly! On the final lap most people behind me had retired which meant they missed out as the wind had built and shifted round giving a fantastic reach at the bottom of the course, a tricky gybe and then an amazing run. I was sailing by the lee and have never been so fast in my life! The RS Aero took off and was so stable it felt perfect. I was pleased that I didn’t come last overall in either of the races; 6 months ago I would have struggled to sail this boat in these conditions, let alone race. A great day, with good company! Thanks again for jumping the car!" "As a first event sailing against other RS Aero sailors I was very pleased with my position, although I had to work hard having not hiked for a long time! I sail the Steve Nicholson Trophy every year without fail and this was one of the most competitive I’ve sailed in, with multiple World, National and European champions donning the fleets. 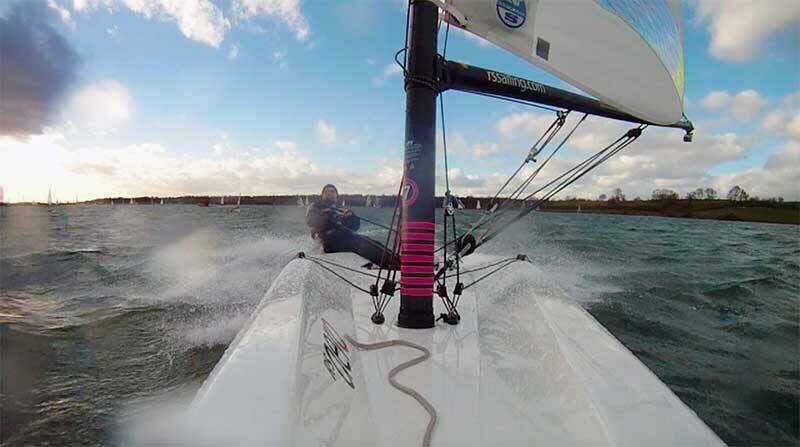 The class has rekindled my interest in the sport and since having the boat I haven’t missed a weekend sailing, you never know I might even travel to a few events as well! A fun boat, great fleet and friendly sailors!" Thanks to Northampton SC and the event sponsors for a great day out with a whole load of money raised for Asthma UK.